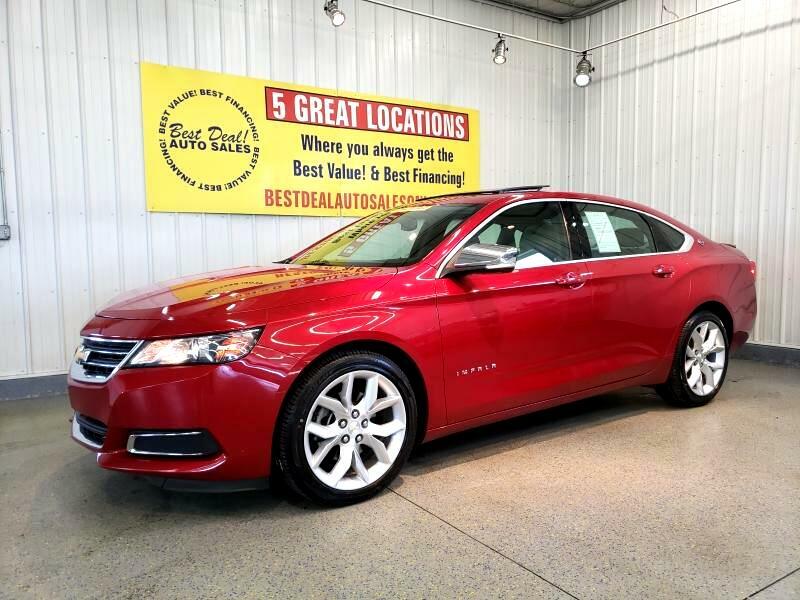 Clean, Well Equipped, and Priced Right 2014 Chevrolet Impala LT! Remote Start with Push Button Ignition, Plush, Interior with Heated Seating, Full Power, Panoramic Power Sun Roof, Voice Activated Bose Premium Audio with Aux. Input and USB, Bluetooth, Large Screen Rear Back-Up Camera, Split Fold-Down Rear Seats, Lip Spoiler, Park Assist, Signal Mirrors, Lane Departure System, 19" Premium Wheels, and More! Family Owned And Operated Since 1999 And Still Going Strong! Stop By Today Or Give Us A Call @ 260-482-8899!